Perfidix is a light-weight java library enabling users to benchmark sourcecode. 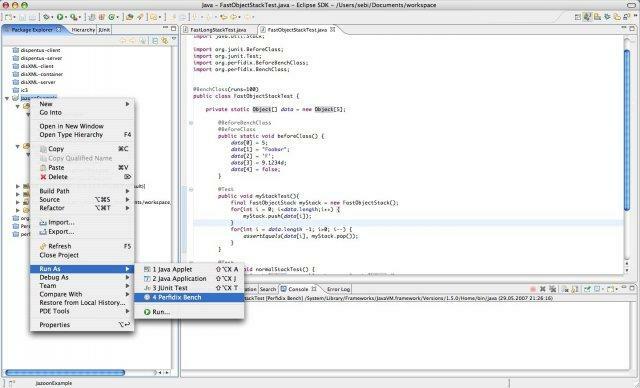 Similar to JUnit, annotations can be placed before methods while invocation can take place over this plugin called Perclipse. Flexible measurements (heap space, time, threads) are applied directly over Configurations directly over the source code. By adding the following code below to your website you will be able to add an install button for Perclipse, the Perfidix Eclipse Plugin.